After founding her own birth control startup, Natasha Doherty, W’18, joined medical professionals and top academics for a review of leading research in women’s sexual and reproductive health. 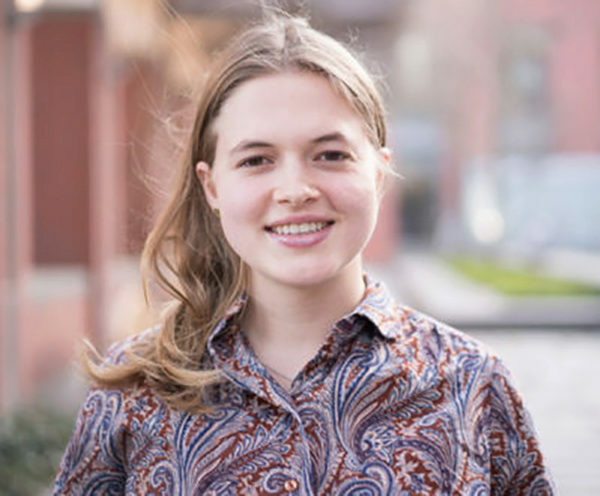 As an undergraduate, Natasha Doherty, W’18, was an active member of the social impact community at Wharton. Her involvement in the Turner Social Impact Society (a program of the Wharton Social Impact Initiative) eventually led to the founding of her own company, Maya, which is making the process of getting effective and long-acting birth control easier for women. This March, the Turner Social Impact Society funded her trip to the Contraceptive Technology Conference in San Francisco. Here’s what she had to say about the experience. The Contraceptive Technology Conference invites nurse practitioners and gynecologists to get access to the leading research in women’s sexual and reproductive health. Little did I know when I signed up for the conference that I would be the only undergraduate student amongst an audience of over 2,000 dedicated medical professionals. More than that, I was in the company of the top academics in the field: the authors of Contraceptive Technology, the textbook which is more like a bible for anyone in the field of birth control. I met the rock stars who wrote it, including Alison Edelman, Professor of Obstetrics and Gynecology at Oregon Health and Sciences University, and Anita Nelson, Professor of Obstetrics and Gynecology at UCLA. Even after their first lecture, I was so enlightened and excited about my reproductive system. They taught me many things that I had never even thought to ask; it was the first time I heard researchers talk openly about the fact that many women forget to take the pill and stop using it after a couple months, and that this makes it less effective. I even got to meet Robert Hatcher, Professor Emeritus of Obstetrics and Gynecology at the Emory University School of Medicine. He is the main contributor and editor to the Contraceptive Technology book series. 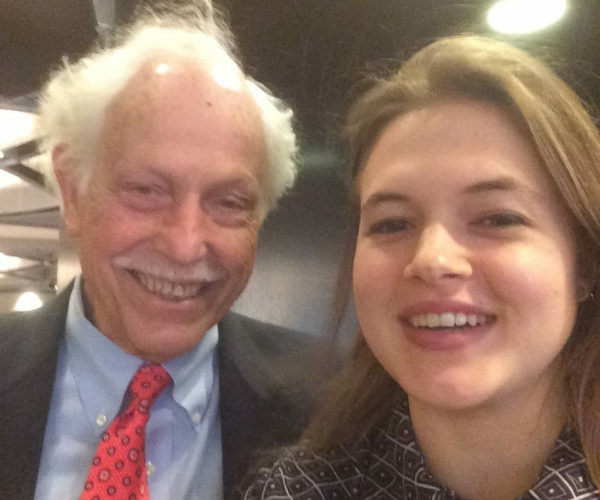 Dr. Hatcher was surprised to meet a young girl from the Wharton School there, but he was kind enough to pose for a selfie with me. Attending the conference was a rewarding and useful experience for my venture, and I have WSII to thank for this. Alison Edelman now sits on my advisory board, and has been supporting me every step of the way to building this company and make long-acting contraceptives awesome for women. The team at WSII has helped me believe that I can do well by doing good. Creating a for-profit company in this field will be challenging, but I hope that I will be able to raise the capital, and make my venture financially sustainable, so that my impact can be scaled, and I can help women feel good about their birth control choices.